Here at Best of Breckenridge, we are always striving to get you the most up-to-date information for your upcoming visit. New restaurants, new hotels, new activities and new festivals to give you and your family an experience you won’t forget! 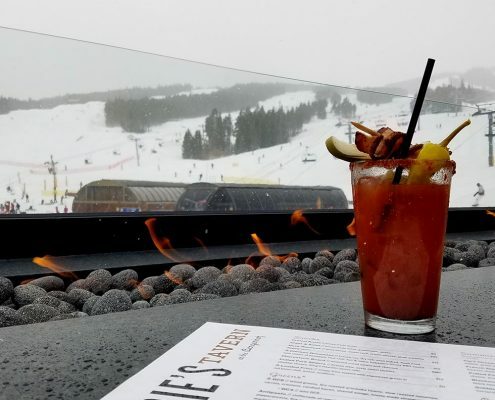 We’ve linked up with local blogger Heidi from Heiditown to give you a low down and a different perspective on what you can expect from your next stay in Breckenridge. Disclaimer: Still on the Hill, Breckenridge's craft distillery festival, has ended but will be back next year! I’ve been visiting Breckenridge for the good part of two decades and like many Coloradans, I’ve come to love specific places in Breckenridge. 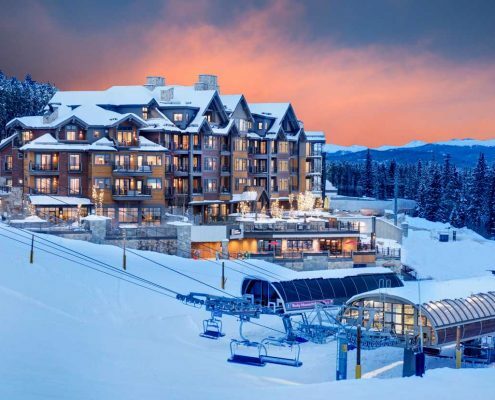 However, as someone who is here to impart new information to HeidiTown citizens, I can’t get stuck in a rut, even if its a delicious rut, so on that last couple of trips, we’ve made it a point to seek out new spots to eat and stay in Breckenridge. At the end of October, we stayed at Grand Colorado on Peak 8. This new property, located at the base of Peak 8, is undergoing its final phase of construction and will be entirely complete next year. Our room, a one bedroom suite with kitchenette and sitting room, still had that “new property” smell. I’ve stayed at a lot of properties across Colorado and Grand Colorado on Peak 8 offers some of the best amenities I’ve seen including four movie theaters complete with popcorn. Sign up for one at the front desk. Not to mention, at Grand Colorado on Peak 8, you can ski out the front door. We spent most of Sunday afternoon lounging in the sunshine in the pool area and it was fantastic. We grabbed lunch and drinks at Robbie’s Tavern, just below the pool area, where we encountered Cameron (aka “Cam”), one of the nicest bartenders in Breckenridge. Robbie’s serves up tavern food including a top-notch pita with addictive fries. The best part? It’s locally owned and operated. Cam makes a scrumptious bloody Mary too. Grand Colorado on Peak 8 is located up Ski Hill Road. It’s easy to take the property’s free shuttle back and forth to town. We utilized it throughout our stay.